Sorry, we are currently sold out of Color Floating Water Lanterns. Please check back later. 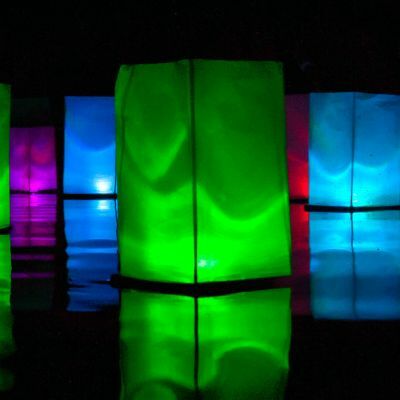 Vibrant floating luminaries or wish lanterns that create a colorful ambience on any pool, fountain, or lake, and adds an elegant touch to walkways and paths. Each lantern is made with a biodegradable bamboo base and flame-retardant white paper, and includes water-proof LED light cubes for illumination. Colorful LED light cubes with 6 different modes and simple one-button operation. They are easily reusable for multiple events. Each pack contains 12 lanterns and 12 light cubes.